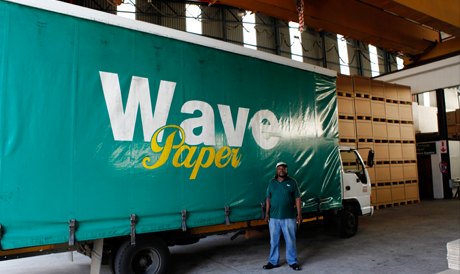 Wave Paper was established in 1991 by Andrew Gourley, the founding Director. The factory is situated in New Germany, which is an industrial area in Durban, South Africa. The customer base is serviced through to Johannesburg and Pretoria in the north and down to Port Elizabeth in the southern part of the country. These are the predominant industrial areas in South Africa. The total staff complement of the company is 90 people. The automotive industry constitutes approximately 70% of our business turnover, and hence makes this an integral part of our business expertise and focus. The remainder of our customers cover a range of industries from pulp and paper and cosmetics, through to food. We offer a just in time service to certain customers due to the volumetric nature of some packaging that is delivered erected. Wave Paper has been supplying most of our top ten customers for more than 15 years, and values the fact that relationships drive business commitment and opportunities. 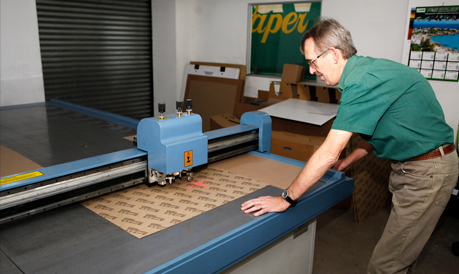 Wave Paper specializes in the design, development and manufacturing of industrial packaging solutions. Wave Paper utilizes a range of different packaging materials, but primarily utilizes corrugated board and kraft. Other materials include timber, corrugated plastic, chipboard, masonite and recycled laminated paper. Particular focus is given to International Packaging Standards and compliance to ISPM15. Wave Paper also strives to achieve cost reduction through innovation, and acknowledges that this attribute differentiates companies. From a factory point of view, Wave Paper has a Factory Forum to represent the workforce, and this has been working well for many years with great success. Wave Paper is power Independent from the grid should there be any electricity supply outages. From a water perspective, there is a rain water harvesting system that will be sufficient to sustain the company for more than a month. Wave Paper is committed to its primary and declared objective to manufacture and supply products that satisfy their intended purpose and their stated performance criteria. In fulfilling this intent, it is the Policy of Wave Paper to maintain a comprehensive documented and effective QUALITY MANAGEMENT SYSTEM based on the requirement of SABS ISO 9001:2008 Code of Practice. Thereby providing a level of confidence that both the product, it’s function and service will satisfy stated Quality requirements at optimum cost to both Customer and Wave Paper, within agreed contractual obligations inclusive of any applicable or statutory regulations that may form a requirement thereof. Waste reduction through effective raw material utilization. Recycling of all offcuts into bales to be remanufactured into packaging paper. Transporting bales reduces emissions per ton when compared to unbaled waste. Reduced fuel consumption by improved volumetric vehicle utilization. Solar Heating for ablution block. Rain water recovery system used for grey water utilization. Wave Paper has a level 2 BBBEE on the new codes.